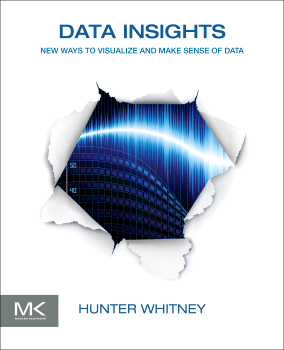 One of the main ideas in Data Insights: New Ways to Visualize and Make Sense of Data, Hunter Whitney's book, is that you should approach information with an open, exploratory mindset, rather than with inflexible expectations. Q: What is Data Insights about? 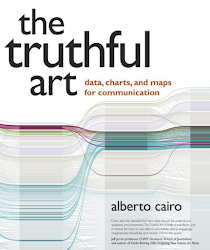 A: "Data Insights seeks to show the extent to which data visualization has penetrated into our daily lives as well as into the sciences in a deep and varied way, making it ever more important and relevant, while also projecting ways that it could penetrate even further to make it useful and relevant in ways most people haven't even considered." "To accompany that overview, the book provides a summary of the concerns that we need to be aware of and examine so that this resource is used effectively, correctly, and with the proper amount of care to prevent errors and miscommunication. 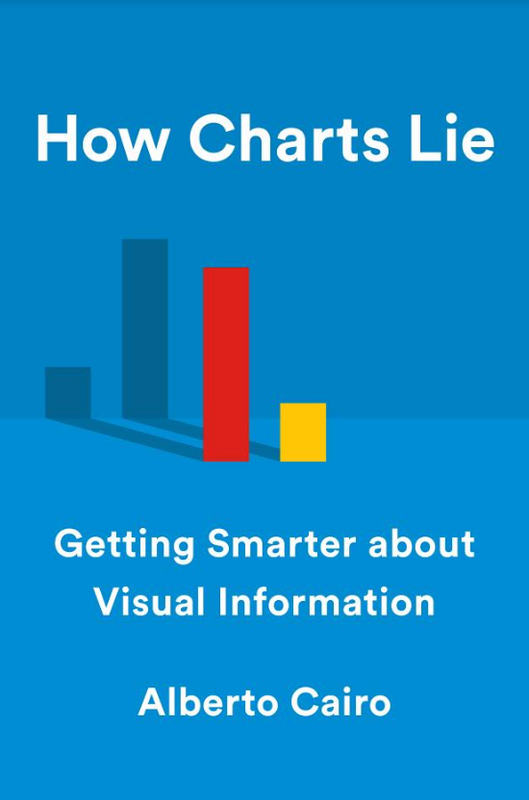 In addition, the book provides a primer on just what happens in data visualization and how to use it to communicate important information." 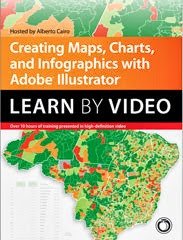 "I personally believe that whoever you are, it is important to develop a more holistic sense of the entire process that goes into creating visualizations and working with data. A general awareness of some of the important issues and concepts, even outside one’s own purview, is a good thing." "The book intentionally has multiple entry points. There will be a range of users who will know certain aspects very well and others who don't. I’ve tried to make this approachable so readers can still benefit from reading cover to cover. That said, they can also easily dive in to topics they find of interest." Q: What led you to write the book? 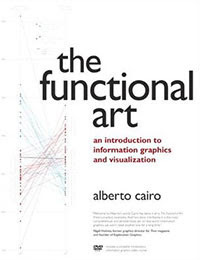 A: "I’ve been interested in data and information visualization for a long time. That said, the precipitating event for the book occurred a few years ago, when I attended a conference where the panel showed many interactive visualizations. I am a UX Designer and I asked the panelists for their thoughts about making data and visualizations accessible to a wider range of users. I felt there was more to the answer than what I heard that day and started to write about the subject to explore it further." "Highly intricate and abstract visualizations reinforce the sense that the data are impenetrable and entirely beyond our grasp. They can make us feel more dependent on others to decrypt the tangled masses of lines and dots, or mosaics or multicolored rectangles in a range of sizes. However, is the complexity of the data always the barrier —or is it sometimes the form and amount that's represented at a given time that is making it seem opaque?" "In many instances, it is simply not worth spending a lot of time or effort doing an infographic. The reason some of the current infographics are problematic is that they often do not illuminate the information at all. If you can read the story without looking at the graphic and know just as much then as after you've looked at the graphic, what's the point?" "Just because a complex problem is presented in a cartoon format, doesn't mean that it's any clearer or easier to understand. I'd rather have a theoretical physicist explain the expansion of the universe than, say, Captain Galactic, if the former understands it well enough to say it simply." "Whether it's cooking or data visualizations, combining a variety of elements is both an art and a science, and the less practice and experience you have, the more you may need to rely on existing guidelines and "recipes" to start off. These recipes represent the distilled trials, errors, calculations, and experiences or predecessors —the collective wisdom of how to form raw elements into a well-done final preparation. Yes, there is often much room for improvisation and experimentation, but there's also a basic order and process for many of the steps along the way. You don't fold in the eggs after you've baked the cake. The more familiar you are with the fundamentals, the more free you can be in experimentation and innovation or, simply stated, the more comfortable you'll be with using visualizations, creating them, or both."